Kostkamm Natural Massage Brush Oval - 1 pcs. Massage brush can be used for dry massage, Sauna and in the bath. 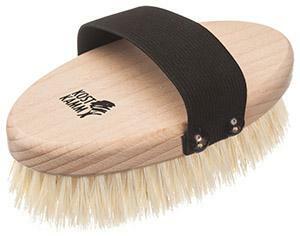 Brush is made from Beech tree and has hard bristles. 100% fibre (Agave). Hard bristles.